Before preparing dried beans, place them in a colander, sort through them thoroughly and remove any tiny pebbles or other debris, and then rinse under cold water. In general, the larger the bean, the longer they need to soak: and the longer you soak beans, the faster they cook. 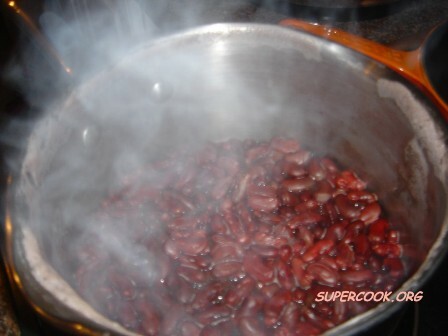 Soak most beans in three times their volume of cold water for six hours before cooking. Dried beans are often soaked too long. Most recipes say overnight. 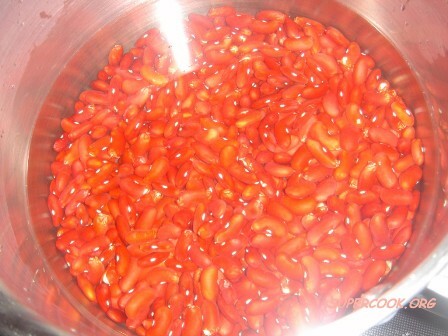 The best way is to put them in cold water; bring them gently to a boil and then with saucepan off the heat, allow them to remain in the water for 1 to 2 hours only. PS: When cooking beans, always simmer. Boiling can cause the cooking liquid to overflow, as well as the beans to break apart and the skins to separate. 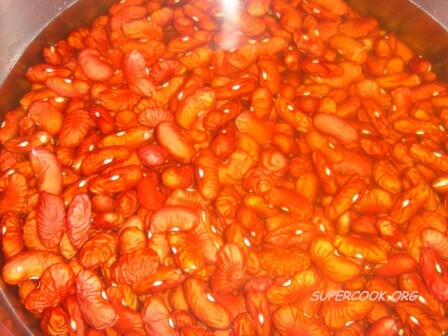 After soaking, drain the beans and add fresh water to the cooking pot. Oven Baking: Baking in the hot dry air of the oven is a slow process, but it's the only way to create the wonderful glazed, crusty top characteristic of baked beans and bean pot casseroles. Traditional containers for baking beans are earthenware bean pots, usually 3 or 3½ quart size. The pot and lid should be glazed at least on the inside and must be lead-free. You can also use glass or ceramic casseroles. They should be refrigerated. 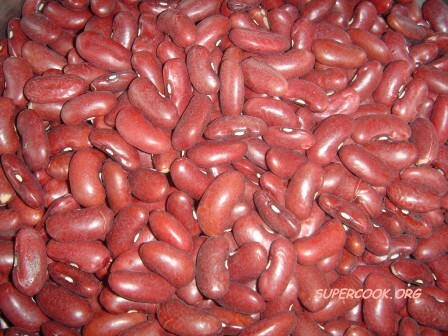 Store cooked beans, covered, for up to four days in your refrigerator.